When an addict or alcoholic crosses the line from social drinking or drug experimentation into active addiction, normal thinking goes down the drain along with the addict’s / alcoholic’s health. Maybe it’s intervention time… Family members have reasoned, pleaded, begged and gotten angry, but nothing has been able to overcome the denial that accompanies addiction. Often, fear, caring, enabling, love and frustration have jumbled together into an emotional mess that only falls on deaf ears, as nothing changes and the addict continues on his not so merry way. The problem has happened so gradually that the early stages – when arresting the process may have been easier – have gone unnoticed and now there’s a real fear that if something doesn’t change, your loved one may die, go to jail or harm someone. Peace of mind is a thing of the past. Left with no recourse, family members decide if some form of intervention might help. Our interventionists are not only there to help those addicted get treatment, but also to teach the family a new way of living without enabling the addict or being manipulated by him. However, few people have any idea how to do an intervention. Not only that, but attempting such a complicated confrontation without training is ill advised. This is why Intervention Services is such a valuable resource for anyone hoping to help a friend quit drugs or alcohol. There are three primary types of interventions: personal – with an individual or family members; groupwith family and friends; or professionalfacilitated by a trained interventionist with family and friends. The effectiveness is never guaranteed, but some modalities have a higher success rate than others. The first type of intervention is that of an individual (family or friend) who confronts the addict to express concern and raise awareness of the problem. Since alcoholics / addicts use manipulation to avoid confrontation, this may be a starting point as well as a way to let the addict know that there is awareness at the family level. Because denial is a component of addiction and such a strong barrier to recovery, most often these individual interventions are minimally effective. The addict can’t even be honest with himself about how far into his addiction he is, and will usually deny and do whatever it takes to dismiss the reasoning and pressure that those wanting to help exert. It is a rare addict who will give in easily. His desire and need of his substance of choice has a stronger physical pull than even the need for food. His avoidance of discomfort is at the heart of his addiction to begin with, so he will usually continue on until something forces the issue. Just as real as denial is to an addict, enabling often becomes part of the family’s dynamic. It is usually a spouse or parent who is less able to see the addiction for what it is; they don’t want to believe it. They fear that great harm will come if they don’t take care of what the addict no longer wants to – or can’t do for himself, so they continue on in frustration. “Love is blind” may apply here, so the people who tend to see the issues first are strangers, followed by co-workers, distant relatives and acquaintances. By the time family feels the need to intervene, the addict has honed his deceptive skills and will promise anything to get his loved one(s) off his back, but in no time the addict is back on his self-destructive path. Remember that the addict in your life knows quite well how to push your buttons, as indeed, he may have actually created many of them! Couple that with the fact that most well-meaning family members know little about the components of addiction, you get the reasons why this type of intervention mostly fails. This second type of intervention involves individuals who try to use this model of intervention without a trained professional. This is done from a place of love, but can backfire and have devastating results that may sabotage family and chances for a more professional intervention. It looks so easy on TV, but due to the complexities of addiction and denial, family may not be equipped to battle the arsenal of resistance tactics the addict is sure to use. This may even be dangerous if you’re dealing with Methamphetamine, since these addicts may become violent or delusional when in later phases of their addiction. In a typical intervention, letters are written and bottom lines are set. If not done properly, the addict may feel betrayed and angry that ultimatums are laid out. One thing important to know about addiction is that addicts use substances to avoid feelings of discomfort. In that all-important avoidance, an addict’s thinking warps and his rationale weakens – the farther he is into the disease progression, the worse that gets. His thinking becomes so distorted that, short of steadfast bottom lines, anything you say will be met with countering behaviors, and there’s a whole lot of them! Listed are common resistance and manipulative tactics you may encounter. Adamant Denial – Minimization of the problem: I can quit anytime I want! I’m not that bad! Offering Hope – I swear, I’ll see a therapist; I’ll stop on my own; I just need you’re support! Baby Steps – the addict will agree to less than the desired or needed treatment: I’ll go to detox, but not rehab; I’ll stay 30 days, not 90; I’ll go to AA every day, I promise! Fear So effective in the button pushing category: I’ll run away first! I’ll live on the streets! ; I’ll commit suicide before I go to treatment! Explosive Reactions The addict yells and threatens, hopefully causing you to withdraw out of another type of fear. Most effective at pushing you away and getting you to drop it. Not Reacting at all You know, the arms-crossed-I-can’t-hear-you… another effective way to get you to drop it. Avoiding, Hiding or Leaving Pretty self-explanatory.If I’m not here, you can’t make me do anything! InvalidationThese programs don’t work; they just want your money! Shifting the FocusDad drinks, so why is it okay for him? If you hadn’t gotten divorced, I may not have started using in the first place! Separation The addict tries to manipulate the primary enabler. I’ll only talk to Mom! Sympathy PloyDesigned to get you to back off.I’ve always been a loser! I hate myself (sniff, sniff…)! Stalemate An absolute refusal: I’m not going and that’s that! Get over it! Postponement We’ll talk about this tomorrow I promise! or “I’ll go after I get my promotion! Sedation or Oblivion Addict shows up loaded to diminish the discomfort of the confrontation. Although the addict in your life may find an even newer way to deflect your efforts, these are the most commonly used defenses and are the most difficult for family members to resist. It’s one thing to say you have a bottom line, and quite another when it comes to keeping it. Ironically it’s the very love and concern you feel for the addict in your life that will weaken your ability to counter these defenses. Family members of addicts are often in need of help themselves, as everyone’s life becomes distorted adapting to the addict’s ways. Enabling and applying tough love may prove difficult obstacles to overcome as you watch your loved one spiral downward. Because of these factors, this type of intervention isn’t much more effective than an individual one. Professionals are well trained in busting denial and are able to recognize and counter these ploys. This third type of intervention is the most successful. 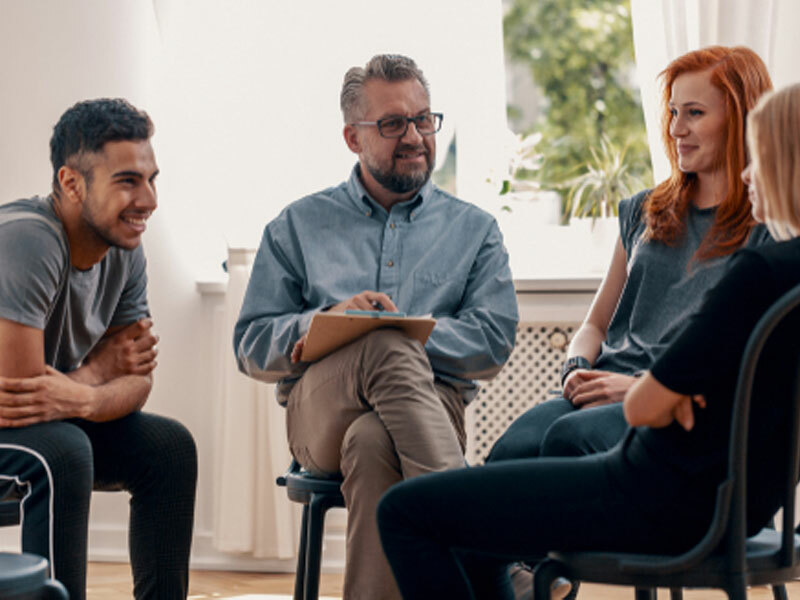 Our trained interventionists have a 90% success rate because they are adept at helping family members maneuver the above obstacles and assert their bottom lines. Though there are components of the first two types of interventions, this process is done in a way that is non threatening, helping to disarm some of the defensiveness created by well-meaning family and friends who are usually too close to the situation to be effective. Family (and friends) will be advised and prepared for what they will face, and are guided in writing and keeping their bottom lines an absolute must. In essence, this type of intervention helps those closest to the addict to reclaim their lives. Intervention Services offers 24-hour availability to help. Many of our professional staff members are in recovery themselves and know what you’re up against. There is a solution; we can help you find it.